Scholastic Makes Sherry A Book Trailer! Here is a deli dish with some of the eggs. I stuck a quarter in there to give you some perspective. It took me an hour to dig them all up and get them nestled in damp vermiculite (this soil-type stuff) and into the incubator. 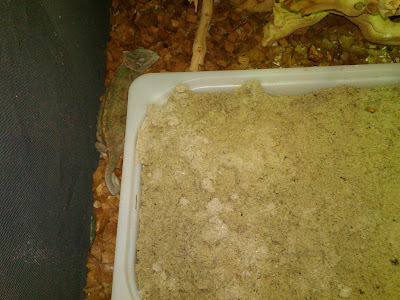 Mind you, it took the female veiled chameleon over twelve hours to dig the tunnel and lay the eggs. That's the longest it's taken her. And that's the most eggs she's ever laid. Fifty-one eggs! If you saw her in real life, you'd be scratching your head and wondering where she tucked them all away. The current argument at our house: Should we try to hatch these eggs ourselves or should we turn them over to the pet store for hatching? We haven't had much luck in hatching eggs. Out of the 91 (I think that's the right number) eggs thus far, we've only had two live births. And the babies only lived for about a week each. Child #2, who is the owner of the veileds but who has morphed into a 16 year old and has little to do with his chameleons, wants to have the pet store incubate the eggs. His mother, who handles the bulk of the chameleon care, wants to try hatching them again. I know our stats are grim, but I feel that we've learned a lot and I can't resist a challenge! A challenge Child #4 and I could take on! A little additional info: If the pet store hatches the eggs, they take half of what they would be pay you for the babies (about $25/month-old baby). For me, it has nothing to do with the money. We're never going to get rich or even pay for a week's worth of groceries with the veiled chameleon endeavor. Not when you add in the price of live crickets, meal worms, electricity for the heat lamps, etc. This post could also be labeled WHAT I WAS DOING AT 1:30 THIS MORNING. YAWN. A little after noon yesterday, our gravid (as in filled to the brink with eggs) veiled chameleon decided it was time to lay eggs. You can kind of see her to the left of the "birthing bucket." She lumbered down from the top of the cage to scout out possible birthing places. Really, the "birthing bucket" is her only option (in terms of diggable sand); she just hasn't figured it out yet. I ended up warming the sand in the microwave and that helped her decide to get down to business. Here's my "birthing spoon." You can see a little clutch of eggs, just waiting for me to unearth them and place them in the incubator. I made a cup of tea and starting carefully excavating about 1:30 a.m. My house was quiet and dark except for the kitchen where I was working. Yes, I was tired, but honestly? I was just so thrilled the little mother was okay, albeit tired, sandy and somewhat dehydrated. Guess how many eggs? Here are two hints. From her head to the base of her tail (so not including her tail), she measures about 6 inches. Each egg is about 1/2 inch in length. One night, I was poking around the internet, reading blogs, commenting on blogs. You know, life as usual. And I stumbled across a blog called Annie Bakes. (Yes, contrary to popular belief, I do actually cook from time to time.) Anyway, I thought, wow, this is one good-looking blog. I wonder who designed it. After March 1 when I turn in I SO DON'T DO FAMOUS. I am still working hard on it. Ack. Our female chameleon is pregnant yet again. She's been climbing down the cage and scratching around the Birthing Bucket. I expect she'll lay her eggs any day now. There's been a fair amount of chameleon news, not all of it good, I'm afraid. I promise to catch you up in March. So, I'm headed back to the manuscript. March 1 will come and go, and I'll be back to visiting your blogs. I'm looking forward to it. THANK YOU CRISSY FOR THIS UBERGORGEOUS BLOG! Oh, and look at that cute signature below! 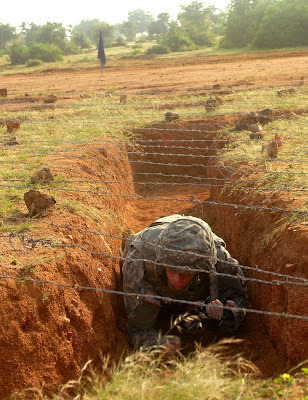 Yes, I have escaped the trenches for a nearby hotel. I'm here for part of the weekend. Because the deadline for i so don't do famous is looming LARGE. And my house is filled with noisy, happy children and their noisy, happy friends. Which is all fun, but not conducive to writing. Also, my kids have a second President's Day off tomorrow. Oh, and a thank you to Mr. Summy who supervised at home last night. Child #2 invited over eight 16 year olds. And Child #4 invited a friend too. You can see how writing there can be problematic! So, do writers have rituals? I don't know if everyone does, but I have a few. I mean, a few too many! I managed to snag my "lucky" room. This is not the fanciest, most comfortable hotel. By far. In fact, there is no microwave, which really bugs me. But...I always get lots written/revised here, so I keep coming back. Look, it doesn't even have a real door! I stocked the little frig with diet coke, bottles of water and, of course, milk for my tea. This is my traveling electric kettle and my Arizona mug. Sorry, I forgot to turn the mug around, but I don't want to take the time to redo the photo. Anyway, the mug is from Arizona. Sherry is from Arizona. A good connection. And here's the writing table, with all my stuff. From left to right: my laptop (which is basically my best friend), my favorite hair clip, a couple of brochures for research (one on Rodeo Drive, one on touring the stars' homes), my favorite pencils (the kind you don't sharpen, but pop the tiny piece of graphite in the top to push down the next piece), earbuds, a huge diet coke from Lake's Market (which has the best fountain diet coke in all of California. Probably. ), a print-out of my outline with notes from Editor Wendy. Ack. I see I forgot my thumb drive. I'll get one of the kids to walk it over. I'm only a ten-minute walk from home. Okay. I'm off to work. Wish me luck. And, of course, Happy Valentine's Day to you all! And on the Olympic front: Here's hoping Canada wins MANY golds! Edited as per the ever-observant and amazing Author Gabriele Goldstone! 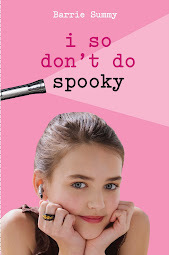 This book trailer for I SO DON'T DO MYSTERIES is fantastic! But you know what I really truly love about this video? The voice. The voice is perfect for Sherry. So perfect, it gives me the chills. A little research uncovered that this is the voice of Caryn Clark, The Hip Chick Voice. Caryn's a Floridian (a fun word to type and say) who's done professional voice overs for a variety of products. In fact, you probably recognize her voice. From TV commercials for the upcoming Olympics. And TV commercials for Hannah Montana and iCarly products. As the narrator for the Nintendo Wii Fit Plus game. To name only a few. 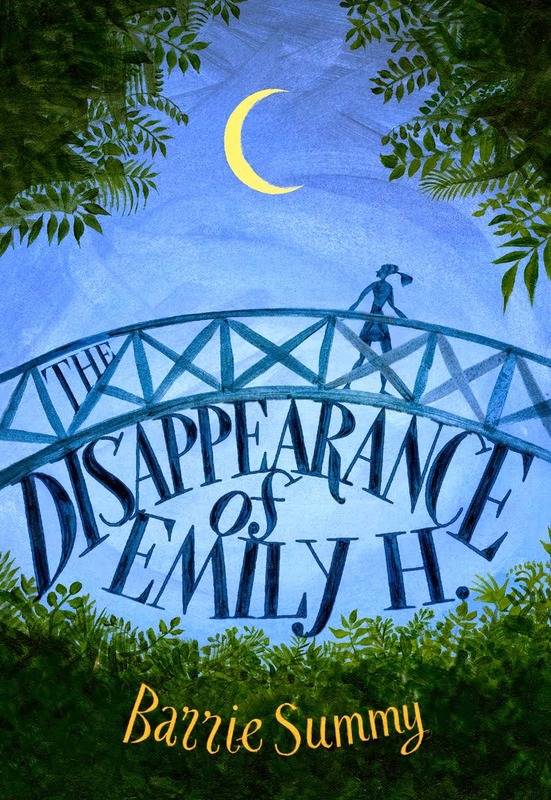 Thank you Scholastic for the wonderful book trailer with the perfect voice! 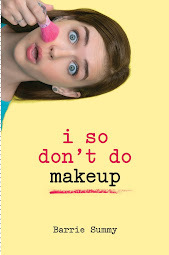 And thank you, also, to Stacy of the Cat's Meow for her recent review of I SO DON'T DO MYSTERIES. It's lovely. I do love an artichoke. I am still working very hard writing I SO DON'T DO FAMOUS. Do these two statements connect? Yes, it's a little convoluted, but they do indeed. Artichokes. You can eat them hot or cold. If you time it right and find a baby artichoke, the entire thistle is edible. The yummiest part of the artichoke is the heart, also called the choke. 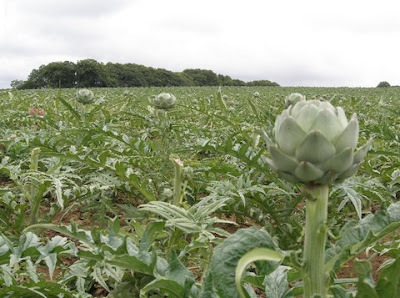 80% of all commercially grown artichokes are grown in Castroville, CA. Castroville is about 100 miles southeast of San Francisco. Castroville, CA is the Artichoke Capital of the world. Here is a link to this year's artichoke festival, the 51st annual festival. On June 1, 1947, Norma Jean Mortenson was crowned the very first Artichoke Queen. You probably already know that Norma Jean Mortenson became Marilyn Monroe. Marilyn Monroe shows up in I SO DON'T DO FAMOUS. As a ghost. "I do love an artichoke" and "I am still working very hard on I SO DON'T DO FAMOUS" are irrevocably connected. Please check out the posts by the other My Town Monday participants by clicking here. Oh, you're still in the mood for more about artichokes? If you're intimated by the artichoke, here's a link for how to eat one. Welcome one and all to the lucky THIRTEENTH meeting of The Book Review Club! Sorry to be starting a little late today. It's all due to small bumps in the road of life: a child with some tough math homework (fractions, ugh! ), a little teen drama, an unfortunate run-in with the delete key. But, we're here and happy and ready to talk books! First off, Happy Belated Ground Hog Day! Yesterday, on Gobbler's Knob in Pennsylvania, Punxsutawney Phil saw his shadow. However, many groundhogs around the country did not. Which means we're either in for another six weeks of winter. Or... we're not. A few weeks ago, Child #2 and I were riding in the car. I tuned the radio to NPR where an author interview was underway. 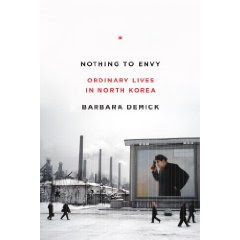 Barbara Demick, Beijing bureau chief of the Los Angeles times, was talking about her December 2009 release, NOTHING TO ENVY (ORDINARY LIVES IN NORTH KOREA). Barbara's book chronicles the lives of six North Koreans over a period of 15 years. These people are all from Chongjin, a very poor industrial town in northern North Korea. Chongjin was particularly hard hit during the famine of the 1990s when its factories shut down due to lack of energy and raw materials. In NOTHING TO ENVY, the six North Korean citizens (a pediatrician, a widow, the widow's daughter, a college student, an orphan and a kindergarten teacher) "fall in love, raise families, nurture ambitions, and struggle for survival. One by one, we experience the moments when they realize that their government has betrayed them." (amazon.com) And we experience how they each decide to defect to Seoul, South Korea. By the end of the radio interview, Child #2 (a 16 year old boy) and I knew we wanted to read NOTHING TO ENVY. I don't read a lot of adult nonfiction. But I can say NOTHING TO ENVY is one of the best book I've read in the last six months. Not one of the easiest, mind you, because the subject matter tugs at your heart strings. But well, well worth it. The title, NOTHING TO ENVY, comes from a patriotic song North Korean children learn, much the way our children learn "Twinkle Twinkle Little Star." On a personal note, I find anything to do with Korea fascinating. Child #4 is adopted from South Korea. From the guarded bridge at the DMZ (demilitarized zone, I have looked out over a little corner of North Korean. One of my sisters has visited North Korea twice with food-aid groups. She returned with details similar to many of the details in NOTHING TO ENVY. Even without these connections, though, this book is excellent. Please click on the links below for amazing reviews from amazing reviewers! 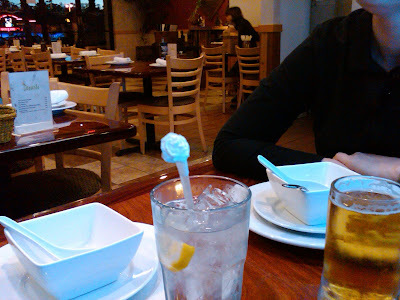 This post can be labeled "Thai Food in Oceanside, CA" or "Escape from the Monastery"! Last Monday, I wrote about a writing retreat I attended with my critiques partners, the intrepid Denny's Chicks. The retreat took place at the Mission San Luis Rey in Oceanside, CA. There were many many things I appreciated about the retreat, such as the uninterrupted writing time, the other children's writers and, of course, hanging with my own Denny's Chicks. But I very definitely didn't appreciate the food. It was, in a word, abysmal. Me: Guys, I'm starving. In fact, I'm so starving my stomach is eating itself. Kathy Krevat: No way I'm facing another meal here. Let's leave. Me: No, no. We can't just sneak out. The monks cooked for us. They're expecting us to show up with everyone else in the dining hall. Kelly Hayes: Let's drive around Oceanside until we find some edible food. Me: No, no. We can't be that disrespectful. Kathy Krevat: I already Googled. There's a Thai restaurant close by. Then, Kathy and Kelly strongarmed me out the door, into Kathy's van and to Ocean Thai Cuisine, 3846 Mission Avenue, Suite A3, Oceanside, CA 92058; tel: 760.967.9901. O Oceanside Thai Cuisine, your Tom Kha soup was the nectar of the gods. Your Gang Ga-ree curry was heavenly. Even your jasmine rice was of another world. 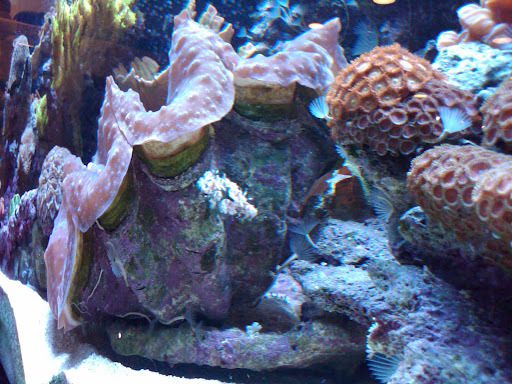 Hands down, this is the BEST aquarium I've ever seen in a restaurant. And we were seated right next to it. 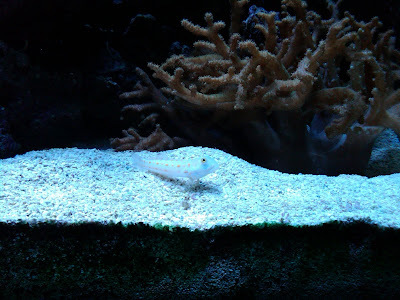 This is a shrimp goby. I think I'd like to own one. I'm not sure how well you can see it, but this little bit of straw is in the shape of a rose. Yes, they treated us like delicate divas.